Great Mountain Views comes with this .21 acre Lake Front Property, Bowing Lake, in Gated Carriage Park. The community also has a clubhouse, indoor pool, tennis courts, walking trails, picnic areas and so much more! Minutes from Downtown Hendersonville! Priced below assessed value! 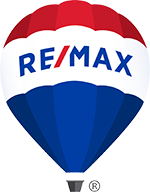 This is a one-stop real estate website for all your home buying and selling needs in Hendersonville, NC.